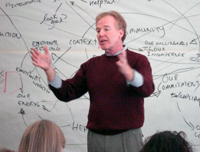 Again we look to a thought leader outside of the discipline of education: Peter Senge, Director of the Center for Organizational Learning at the MIT Sloan School of Management. In his book The Necessary Revolution, Senge and co-authors argue that our place in the course of human history leaves us no choice but to think and act differently. 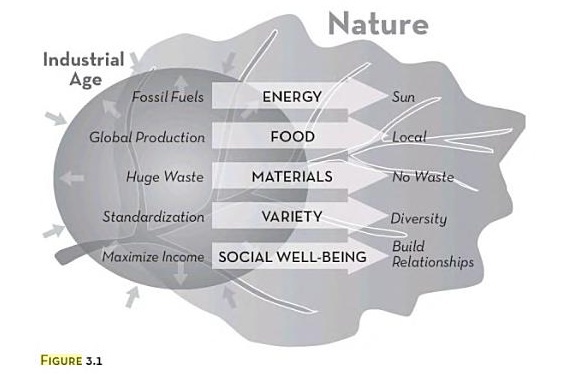 He cites diminishing natural resources and growing waste in addition to social stresses such as anxiety and overwork as well as the growing gap between the rich and the poor to illustrate the dangerous side effects of the industrial system. Energy is infinite and cheap. There will always be enough room to dispose of all our waste. Humans are the primary species on earth; others are less important and many are irrelevant. Productivity and standardization are keys to economic progress. This is what sets Education to Save the World apart from almost all other “21st Century” education advocates. Most thought leaders place the need for change in the context of personal or national competition. We like how Senge looks beyond economics to ask what else is going on in our time period. What could education look like if the goal shifted from economic competitive advantage to working together to create a sustainable future? “Revolution” that is exactly what we need!